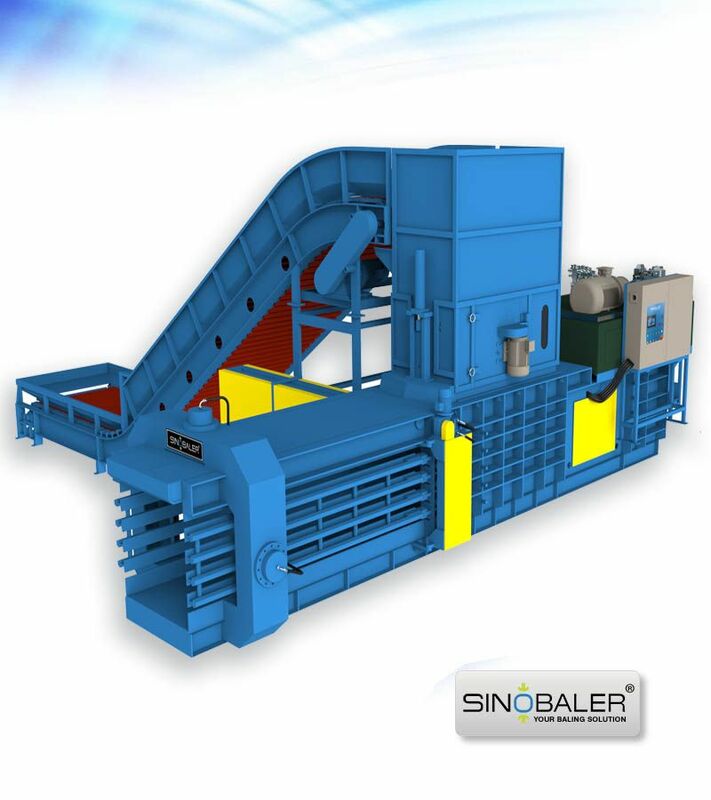 Sinobaler hydraulic baling machine covers a wide range of waste materials incl waste carton, paper, fabric (i.e. used clothes, rags), PET bottles, aluminum cans, coconut fiber, tyres/tires, drums, computer/TV shells, wood shaving, chaffs, cotton seeds, rice husk, waste baling and more. 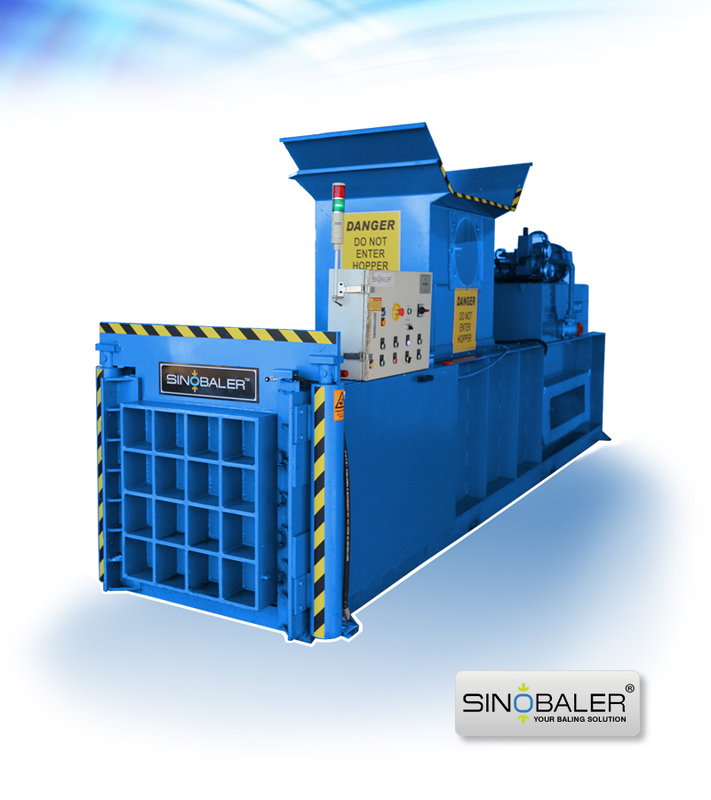 Fitting your waste type to the right baler and output capacity has never been this easy! 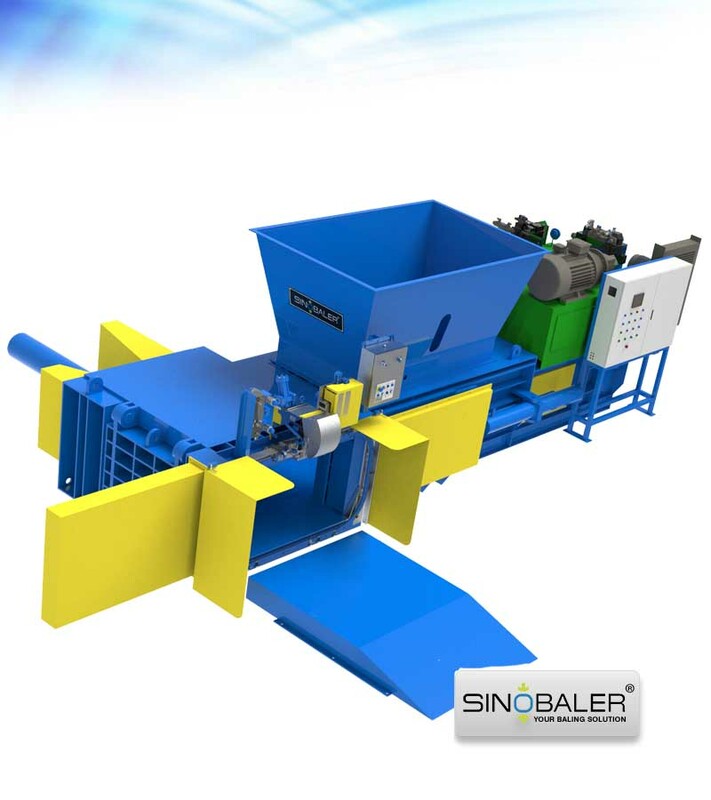 Choosing your waste recycling materials in our baler machine application list and you will have a complete list of matched baling machines and its models for choices. 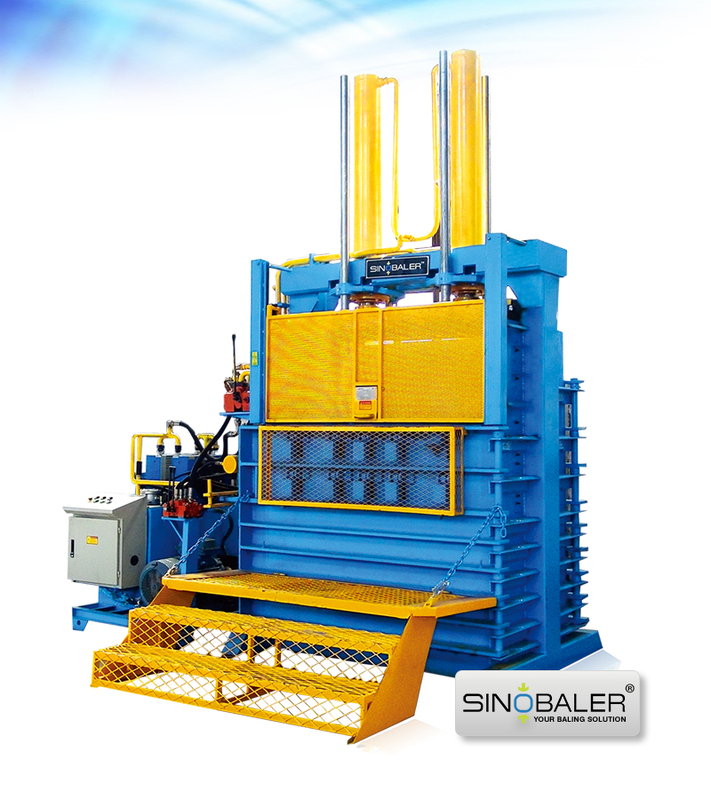 Manual, semi automatic, automatic baling machines are all available. The maximum output estimate will help you to find the baling equipment per your own capacity and bale needs. 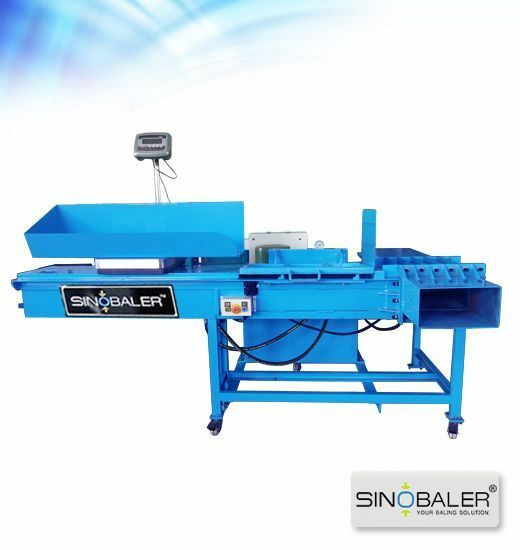 When you want to choose some baling machines or its models, please click them for more details incl image, video, catalog and specification. 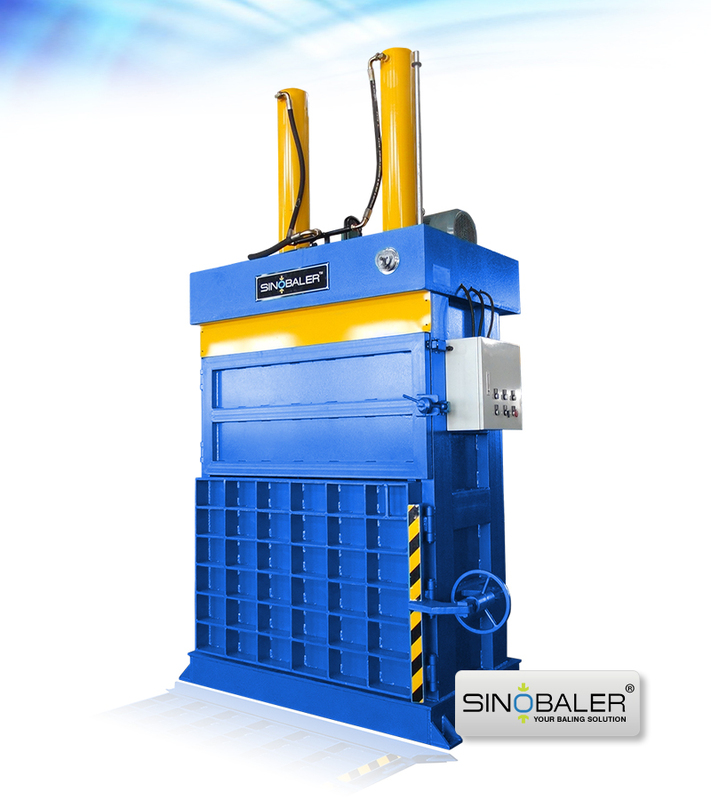 Why you need a baler for recycling purpose? 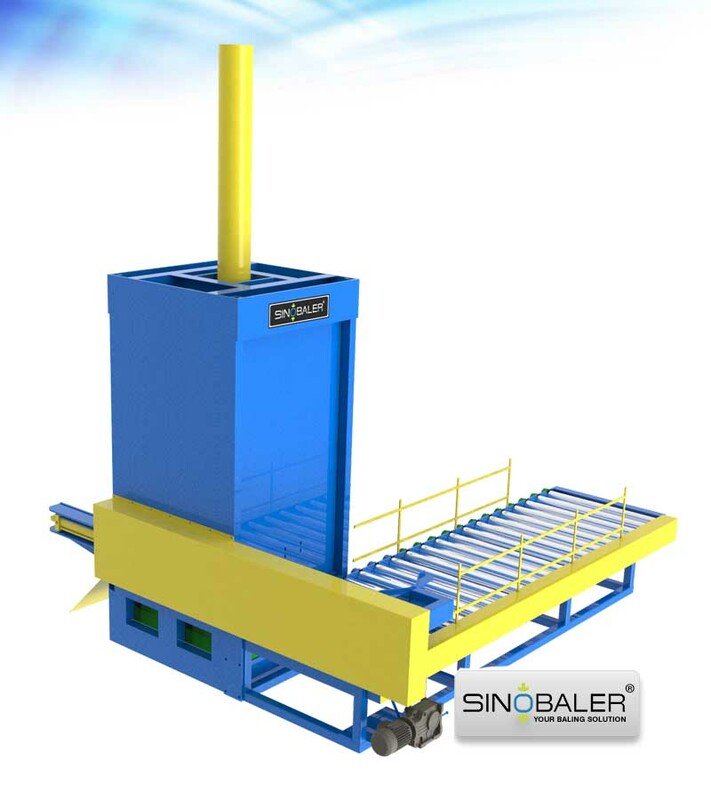 Baler is a recycling machine which uses the compressing force of hydraulic cylinder to reduce the size of various waste materials. It can turn them to regular shaped dense bales (in most cases, square shape). 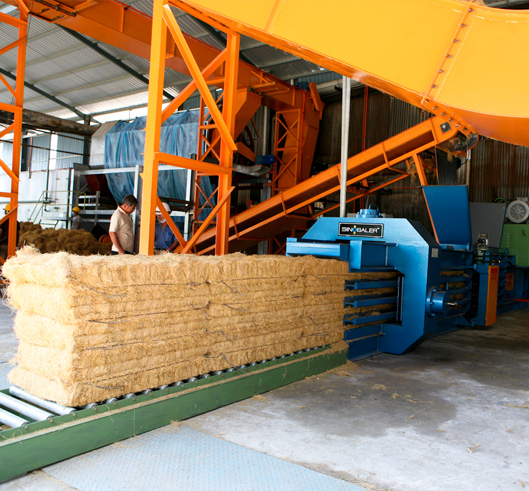 When one bale is ready, the operator can proceed to belt it with straps or steel wires for keeping the compacted status after ejecting. Ensuring the straps or steel wires be tightly belt allover the bales, increasing the density of waste materials so that more volumes of the waste could be loaded into containers or stored in the warehouse. 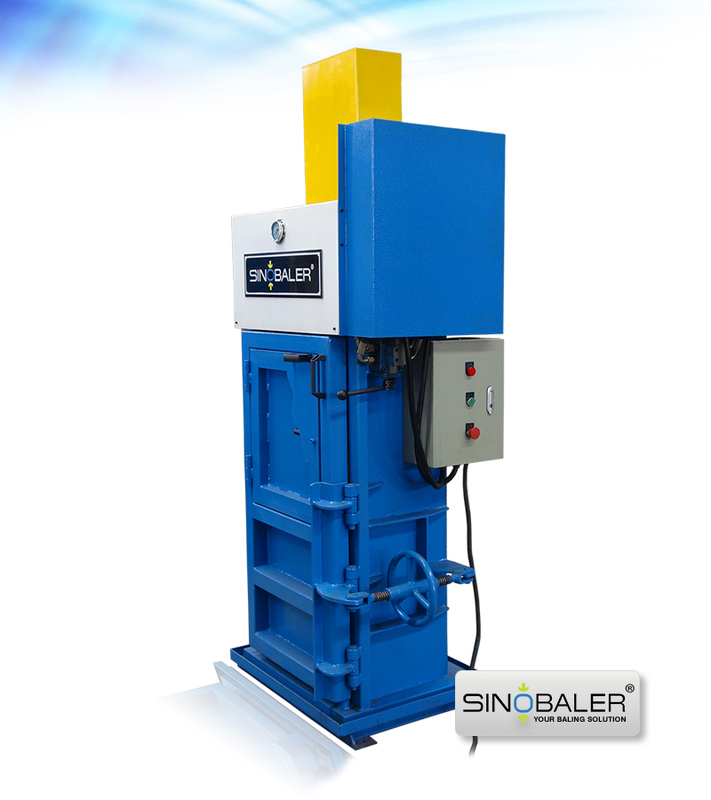 Baling machine acts as an important assistant for companies. They deal with waste materials, creating new profits to customers when reducing their transportation and storage expense for waste material management. 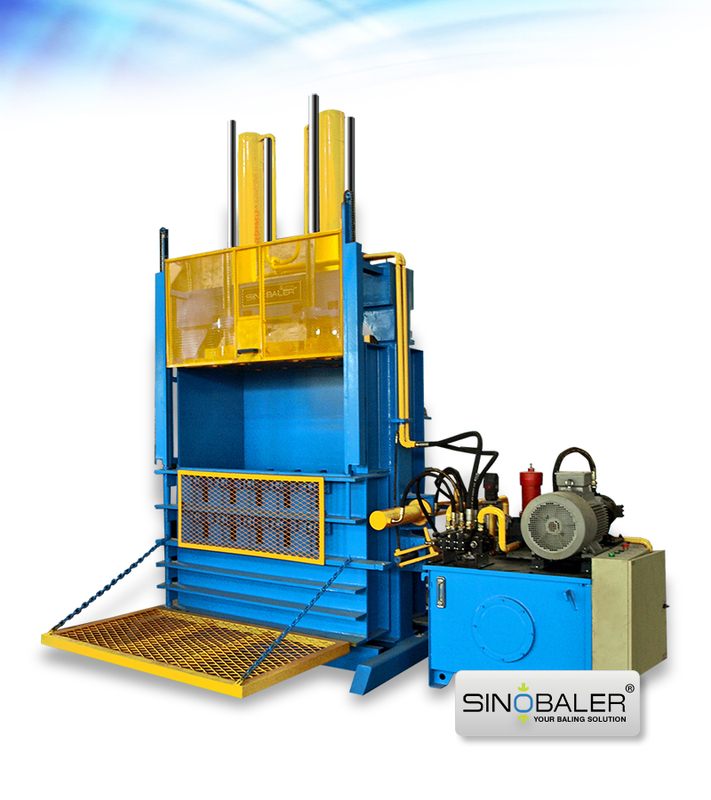 What is a baling machine used for? 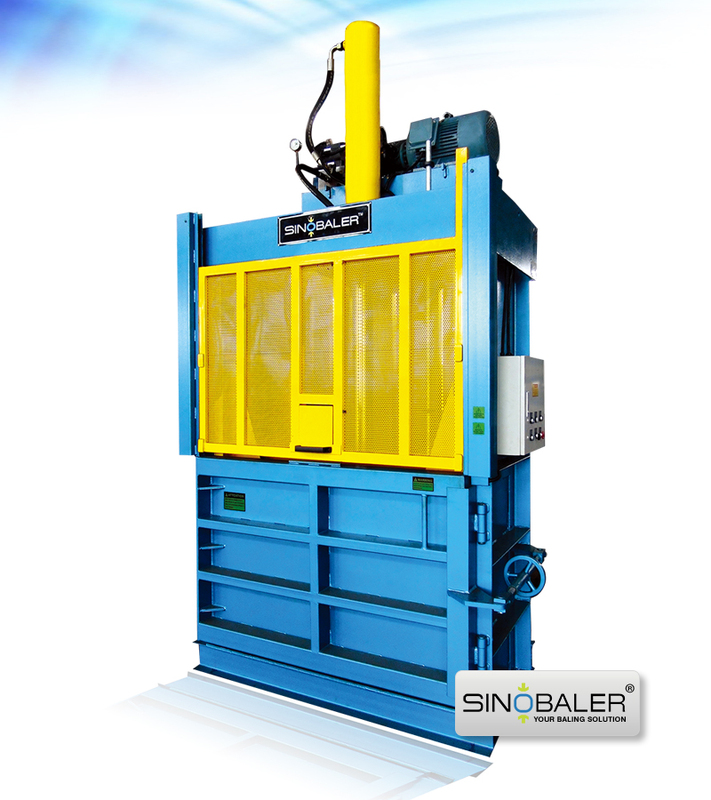 Baling Machines can compact a wide range of reusable resources and trash, including waste carton, paper, fabric (i.e. used clothes, rags), PET bottles, aluminum cans, coconut fiber, tyres/tires, drums, computer/TV shells, wood shaving, chaffs, cotton seeds, rice husk, waste baling and more. 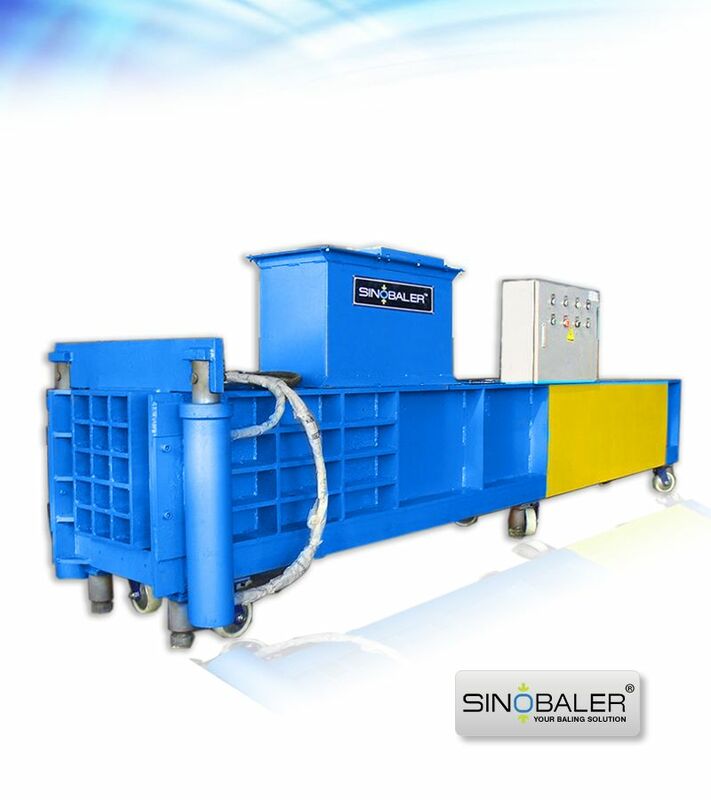 Where do you need a hydraulic baling machine? 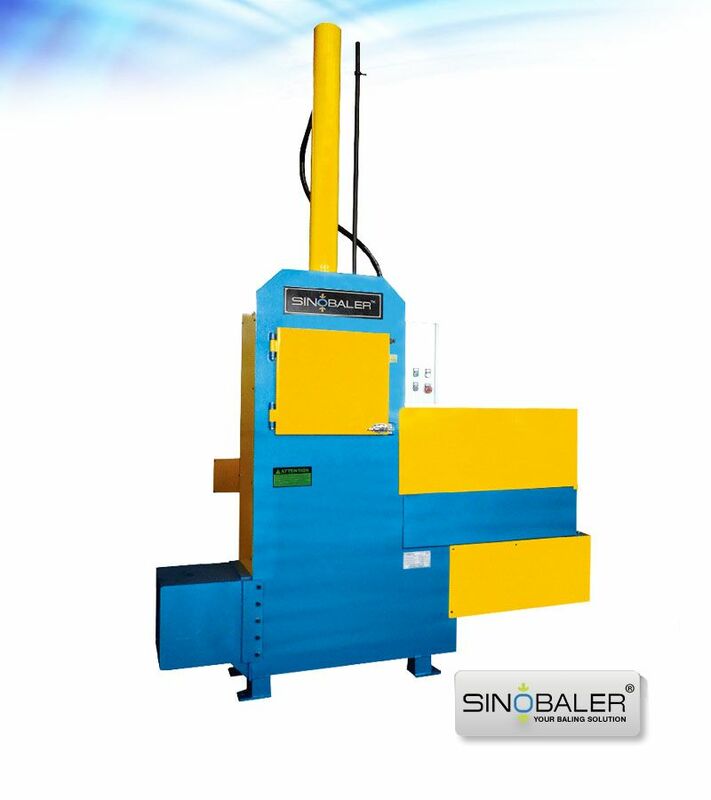 The hydraulic baling machines are very popular in variety of facilities, such as paper/cardboard recycling facilities, carton manufacturers, printing facilities, textile waste recycling installations, distribution centers, PET bottle recycling plants, fiber processing facilities and packaging factories, malls, retail stores, hotels, grocery stores, offices, hospital, houses, vessels etc. 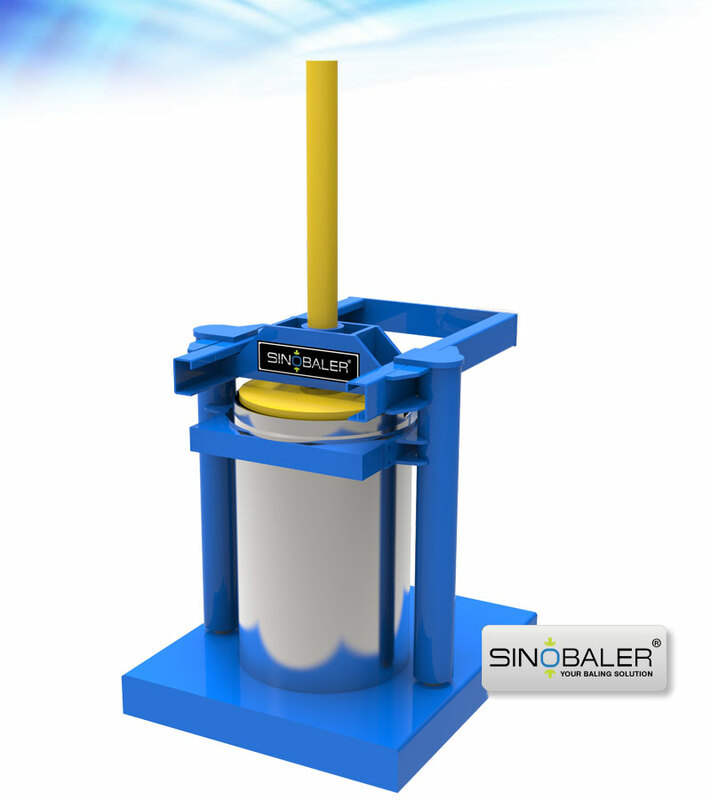 PET bottle is a material that occupies considerable space and with a big compaction ratio. 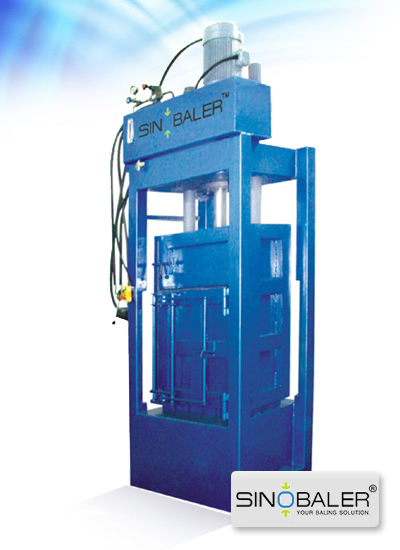 Hence, Long stroke baling press (PET bottle baling machine) specially designed for this material usually have a big compressing chamber and with long stroke cylinders. 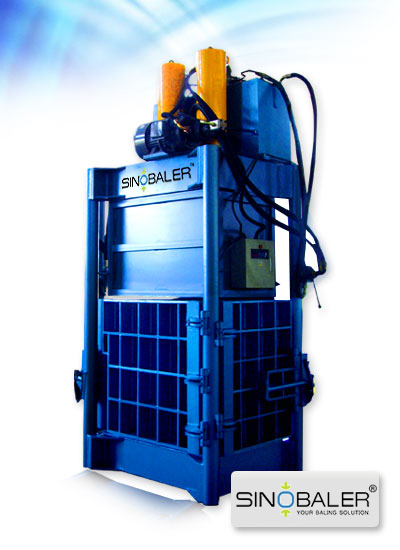 As a result, Long stroke baling presses are comparatively taller than other baling presses. The big friction between textile and inner wall of compressing chamber makes bale ejection not an easy job. 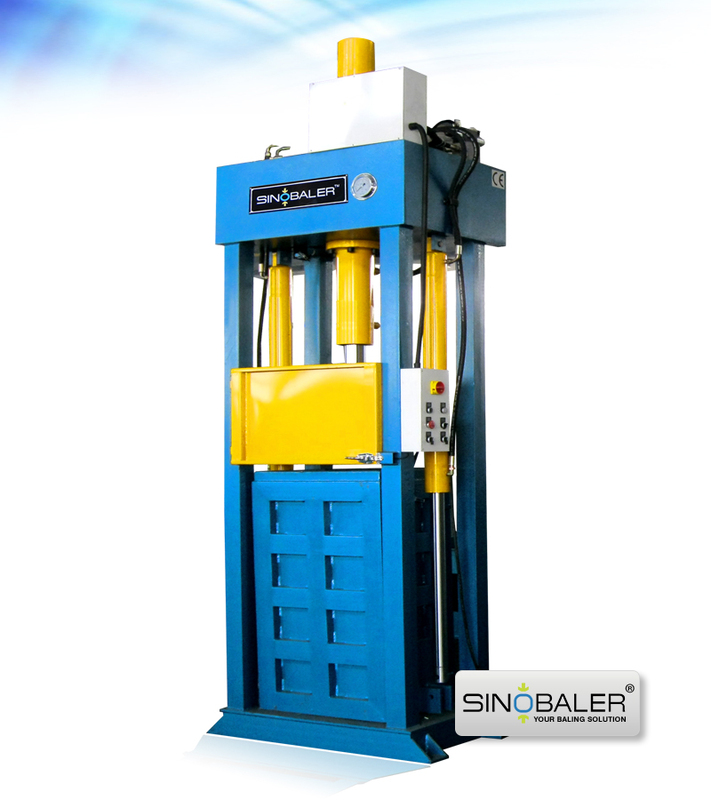 Because of this, textile baling equipment are designed with lifting chamber door or four-sided door for an quick access of getting bales out. 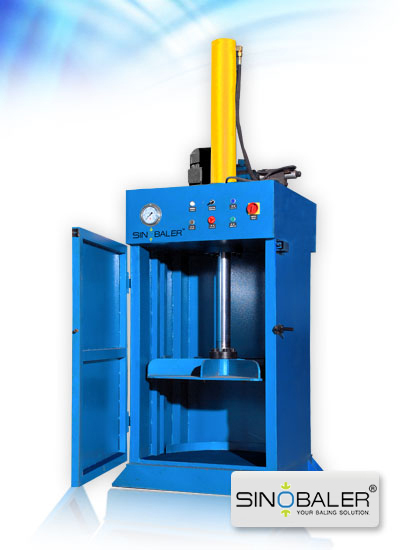 To press the material with a big spring-back force/elasticity such as tyres, balers should install anti-bound device such as hooks inside the compressing chamber to prevent material bouncing back when platen moves upward. 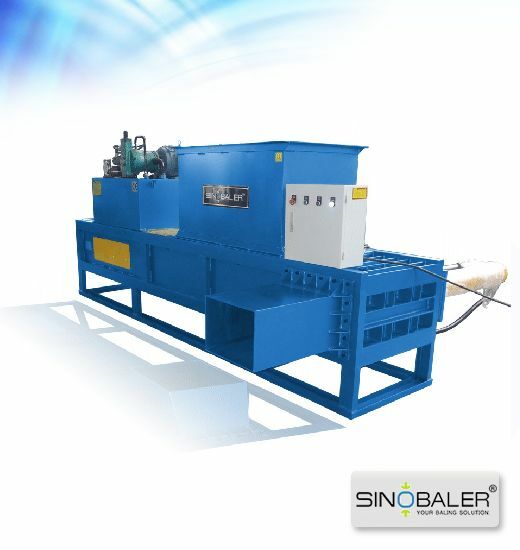 Waste steel is a hard material and requires joint work of compressing force from different directions. 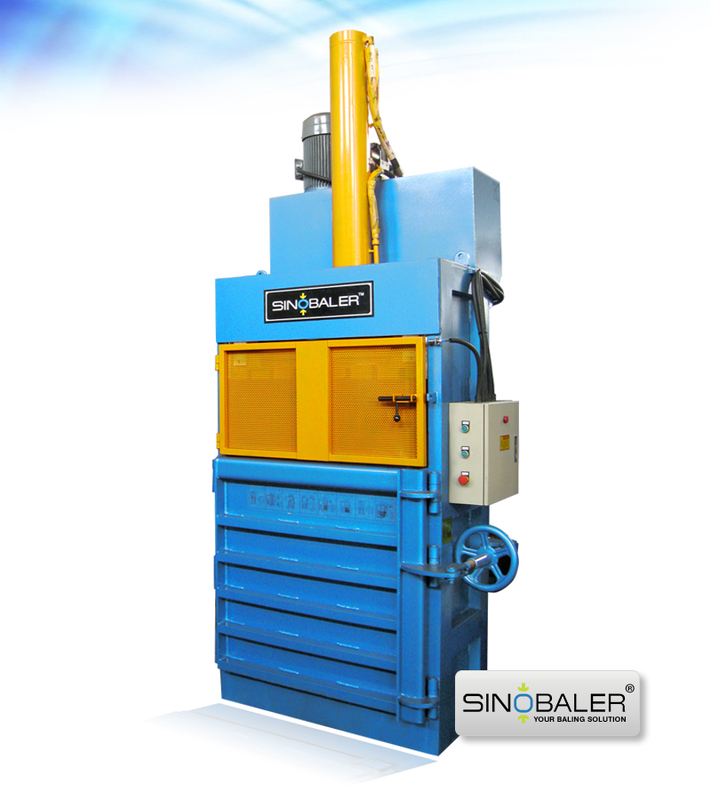 Normally, three directions compressing is adopted for metal balers. 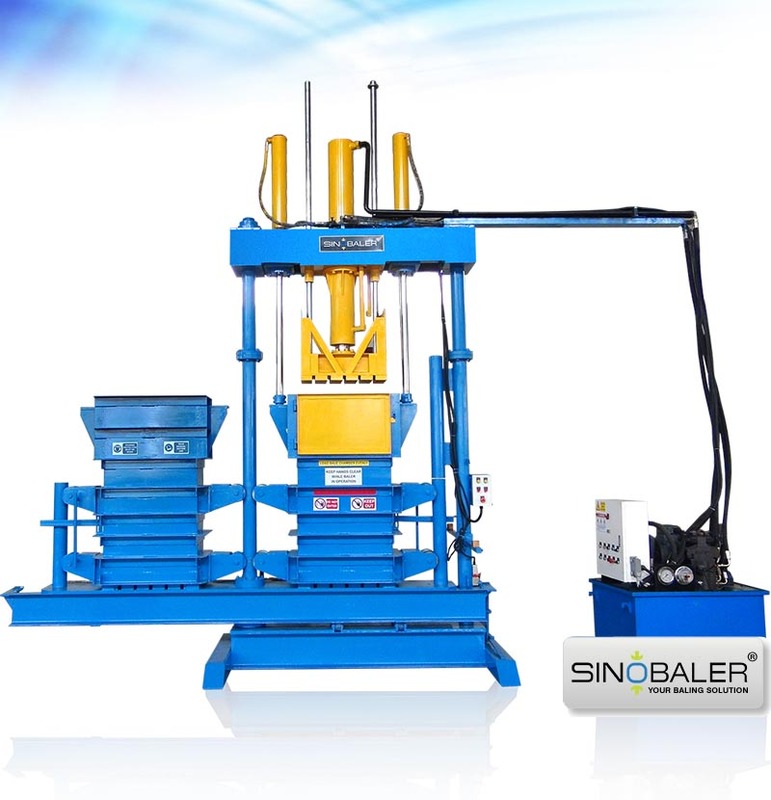 Aiming at maximizing your efficiency and profitability, we work to tailor your baling machines to meet your unique baling equipment requirements. Contact us today!